The term Supply Chain Management has caught everyone’s fancy these days. What exactly does this mean and how can Small and Medium Enterprises (SMEs) leverage their business using this? Take the example of a chocolate factory. Where does Supply Chain Management come into play? Customer A has ordered for 1000 cartons of dark chocolate. The customer service department takes the sales order and enters it into the system. If the product is in stock, the order can be immediately executed. If it is not in stock, the product should be manufactured. The chain of events starting with ordering the raw materials, producing the chocolate and delivering the chocolate to the customer is triggered. The production team makes a Bill of Materials showing the quantities of raw materials required to produce 1000 cartons of dark chocolate. The purchasing department makes a purchase order and contacts the suppliers of cocoanuts, sugar, and milk for delivery at a certain date. The storekeeper then stores the material until it is ready to enter the production line. After the production process, the chocolate is ready to be packed and stored as finished goods in the warehouse. It is then transported to the customer’s place. This entire chain of processes is collectively called the supply chain. Each link in the chain has to be seamlessly integrated into the overall supply chain to work effectively. The purpose of an efficient supply chain system is to minimize lead time and provide the best quality products at the best possible cost by eliminating all possible waste in the value chain. The “Farm to Fork” supply chain extends from the farmer to the retail food stores to the consumer. This term has gained popularity in supply chain terminology because the earliest and most extensive users of the supply chain management process were from the food industry. The Global Supply Chain Forum of Ohio State University is a team of academicians who meet and improve the theories and practices of the supply chain management process. Supply chain management is the integration of key business processes from end user through original suppliers that provides products, services and information that add value for customers and other stakeholders. The Global Supply Chain Forum has listed eight key supply chain management process. These supply chain management process is cross-functional and needs to be streamlined and integrated into the value chain. Many companies spend loads of money on attracting new customers. But it is equally important to value and nurture existing relationships. This process involves identifying the key customers of a product and meeting their requirements. Various types of customers are identified, their needs are assessed and the product is customized accordingly. The customers can also be classified into large and small customers and accordingly serviced. Just like the customer, the supplier is a very important part of the supply chain. The company identifies its key suppliers, negotiates and enters into an agreement with them. It tries to forge good relations with its main suppliers resulting in a win-win situation. In today’s business environment, organizations have to develop a relationship with their suppliers by actively listening to their problems and trying to solve them, thus making them partners in the supply chain process. Let’s move to the next supply chain management process. This process provides the interaction with customers. This is the face of the company, as far as the customer is concerned. This may also involve helping the customer to locate where his goods are in transit or installing the product at the customers’ place. Note: Customer Service Management, which interfaces with customers, is different from Customer Relationship Management, which defines the processes of acquiring and maintaining customers. How much to produce? This question has to be effectively answered to satisfy the customer’s demands. Demand Management does just that. If you produce too little when there is demand, you have lost the opportunity to sell more, thus increasing your bottom line. If you produce too much when there is no demand, the cost of holding stock increases, leading to wastage. This fine line has to be managed. What should be produced? The correct product mix should be decided based on consumer demand, so that the resources may be diverted to more profitable units. The process from the supplier level to the customer level has to be streamlined so that the product is delivered as per customer expectations at minimum cost. It not only involves logistics but the entire gamut of operations. The same manufacturing facility is sometimes used to produce products of various specifications. How much of each type is to be produced? How flexible is the manufacturing facility? These questions have to be answered while maintaining the optimum production of required goods with the lowest possible cost. This involves developing a structure which would facilitate developing a new product with the help of suppliers and consumers. Market research may bring about the idea of creating a new product to satisfy customer demands. This process enables the flow of new products from the supplier to the market seamlessly. This team would need to work with the CRM (Customer Relationship Management) team as well as SRM (Supplier Relationship Management) and Manufacturing flow team. Returns management refers to the management of the reverse flow of products. There may be sales returns when the sold product is defective, broken or not according to customer specifications. The efficient use of this process will reduce unwanted returns and also streamline the usage of reusable materials such as gunny bags. Learn how to design supply chains that support environmental policies. Manage or execute procurement related functions. Develop supply chain management strategies that increase efficiency and speed. Any company following Supply Chain Management systems will firstly have to formulate a supply chain strategy. The top management of the company decides the overall policy and strategy relating to the supply chain management process. This includes the decisions regarding the selection of suppliers, partnerships for distribution, hiring of warehouses, bulk purchase policy and transportation. For example, in a cotton yarn manufacturing company, would you locate the factory near the raw material source (cotton farms) or the customer (cloth producers)? The cost of transporting cotton yield is greater than the cost of transporting yarn. So the factories may be located near cotton farms. Tactical measures focus on cost reduction using better supply chain practices. For example, the company can scout for alternate suppliers or have better warehouse practices or they can optimize transportation to reduce the cost and increase efficiency. They should aim at eliminating all steps that do not add value to the chain. These are the day-to-day decisions relating to production plan, inventory, purchase of spares, etc. which are handled at the ground level. These decisions are taken by operational managers. For example, they may use ‘Just in time’ inventory method to minimize storage cost. SMEs: Small and Medium enterprises are those organizations where the employee count and turnover falls below a certain level. The count and turnover vary from country to country. For example, in India, a small enterprise has an investment in equipment between Rs. 10 lakhs and Rs. 2 crores. Small and Medium Enterprises play a crucial role in a country’s economy. In the manufacturing industries, SMEs mainly play the role of a supplier, vendor, service provider or subcontractor. The role of SMEs largely remains that of a link in a larger organization. So they are basically parts of the large enterprise’s supply chain. In contrast to Large Enterprises, implementing Supply Chain Management practices in Small and Medium Enterprises can be a difficult affair. While Large Enterprises have the resources to invest in Supply Chain Management practices, SMEs, who will benefit greatly, often lose out. This is because SMEs are small in size and many in number; they lack adequate resources in terms of people, finance and technology to implement the best supply chain practices. It has become increasingly important for SMEs to have a supply chain strategy, to enable them to be competitive in the marketplace. Effective SCM (Supply Chain Management) should plug revenue leakages in purchasing, inventory management, warehousing, and transportation. It should aim for maximization of value with minimal cost. SMEs should concentrate on synergizing the entire process as a whole instead of focusing on individual parts. Awareness about good supply chain management practices in SMEs is very low. The SMEs tend to adopt a rather narrow view when it comes to business practices. But it is imperative to adopt new ways of running a business if they want to compete globally. Good Management Practices: SMEs have limited capital. So they cannot afford to hire top management gurus to lead the team. So, information on the latest practices cannot be passed on. Nowadays there is a trend of hiring part-time CXOs (top management) who can offer advice to help businesses run efficiently. Latest technology: SMEs do not have huge fund outlays towards latest technologies which they can use to improve the supply chain management process. They do not have deep pockets. So they cannot effectively use some of the tools like ERP (Enterprise Resource Planning) or CRM (Customer Relationship Management) for an effective Supply Chain Management process. One trend worth mentioning here would be Internet business like Amazon. Internet buying and selling have been on the rise since the 2000s. SMEs have to leverage this trend, otherwise, they might carry the risk of sinking. Customers are increasingly preferring this method over traditional purchasing. Since this model does not need heavy brick and mortar infrastructure, this may be ideal for SMEs. Priority: Unlike Large Enterprises, improvement of the supply chain management process may not be a top priority in SMEs. This is because they tend to focus their limited resources on the core areas of production and sales. For this reason, even if they are aware of supply chain practices, they are reluctant and slow to implement them. Lack of networking: Large Enterprises have forums (like the CII in India) and networks to share the latest information and trends in the supply chain management process. In contrast, the SMEs are rather isolated. Due to fear of competition, they are reluctant to share information among themselves. There is an urgent need for networking among SMEs. Family-owned business: Most of the SMEs are either owned by individuals or families. The shareholding pattern is not diverse. So they tend to have a closed mindset regarding how the business should be run. They may not be open to ideas like Supply Chain Management. 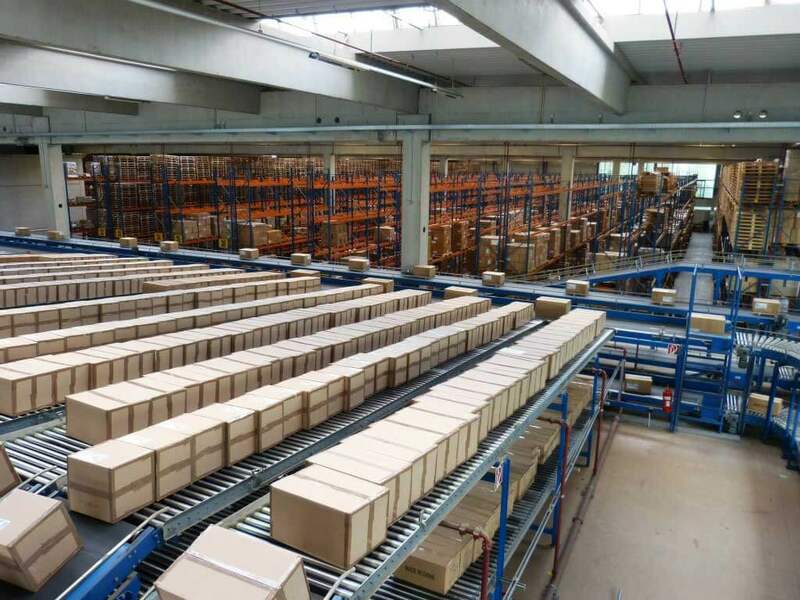 Outsourcing the Supply Chain function: Some of the SMEs outsource their supply chain function mainly by purchasing the Supply Chain Management software and implementing Vendor Managed Inventory or reduced finished goods inventories by obtaining more accurate forecasts. This saves a lot of money and they can leverage the use of technology. However, it is a double-edged sword. Relying completely on the demand forecasts could spell disaster. Hence a balanced approach should be undertaken. 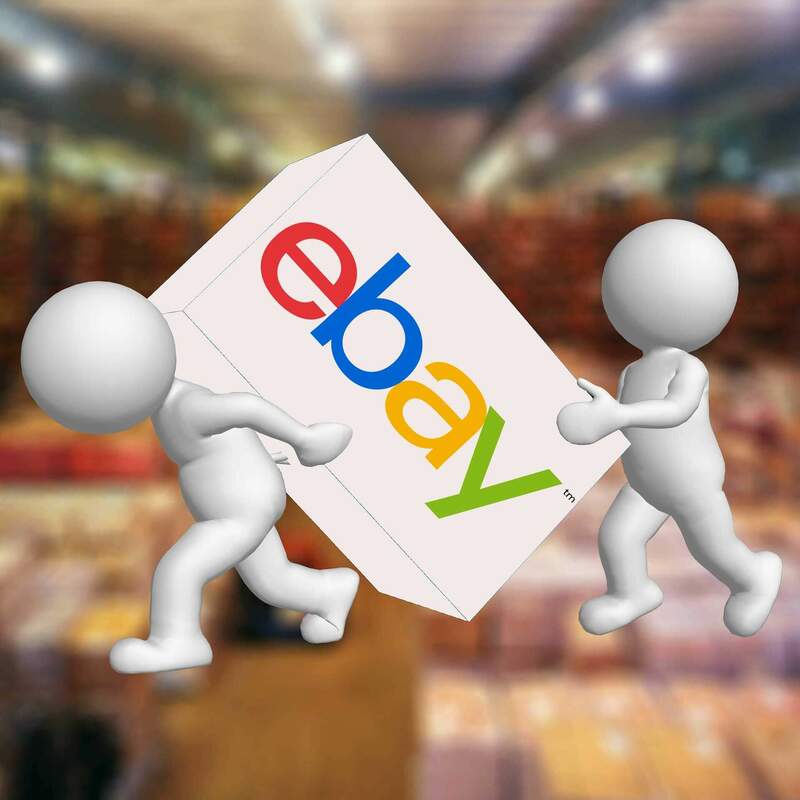 E-Marketplace: Increasingly, businesses are moving towards sourcing materials online. The internet is becoming the market where people buy and sell materials. SMEs should try and leverage these opportunities as online businesses often have inbuilt Supply Chain Management tools. Agility: SMEs should adopt supply chain practices which helps them to be agile and respond fast in this ever-changing marketplace. In fact, SMEs have an advantage over Large Enterprises when it comes to agility because of less bureaucracy and smaller size. Some of the latest tools used in Supply Chain Management process are Lean practices, Six Sigma, and 5S Methodology. While it might seem like a lot of effort, especially for Small Enterprises, it is important that they carefully evaluate their supply chain management process. It is not necessary to use expensive software to have a good Supply Chain Management process. Well-defined supply chain management process will ensure that the supply chain works seamlessly from the producer to the consumer.